KAWASAKI - The Kawasaki Brave Thunders desperately needed this man to make a championship run — Naoto Tsuji. Tsuji returned to the court for the first time in an official B. League game on Wednesday since suffering a dislocated left shoulder in a Nov. 23 contest against the Tochigi Brex at Todoroki Arena. 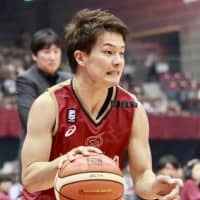 “I think I was able to play with composure today,” said Tsuji, who scored 12 points, including 3-for-7 3-point shooting, in nearly 17 minutes of playing time after the 87-67 win over the Toyama Grouses at home. The veteran shooting guard had competed in an All-Japan Basketball Championship quarterfinal-round loss (66-63) against the Chiba Jets Funabashi a week before. But he had practiced with the team “just for a day” and was far from his top form. 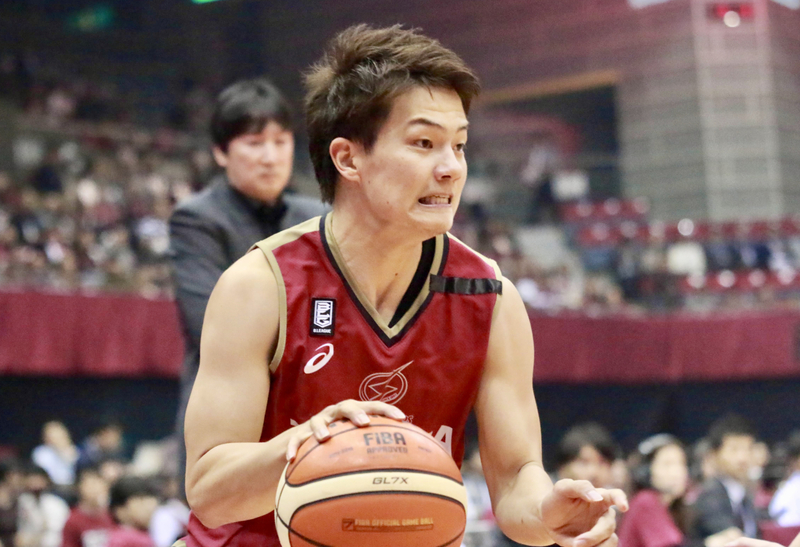 Coming off the bench against the Grouses, Tsuji knocked down consecutive 3s in the second quarter. He made a four-point play in the third to fire up the crowd. Tsuji put on the Brave Thunders jersey quicker than he expected. He originally thought he would be sidelined for a few months. He is back at about “70 to 80 percent” compared to before the injury. The ex-Japan national team player said that he was taking it lightly while sidelined, but that he eventually became frustrated by not being out on the court helping his team. Kawasaki, currently in second place behind the Niigata Albirex BB in the Central Division with a 20-12 record, is loaded with players who can score inside like Nick Fazekas and Vernon Macklin, but is thin outside. In fact, the Brave Thunders are ranked second from the bottom in the 18-team top division in 3-point attempts (532). So for the Brave Thunders, who finished as runner-ups in the league’s inaugural 2016-17 season, Tsuji is an irreplaceable presence that gives them a better chance to make another run at the title. Brave Thunders head coach Takuya Kita insisted that Tsuji would still need some time to get his knack for the game and stamina back. But he added that Tsuji “was like” Tsuji when created space off a pick-and-roll with Fazekas.